Axis bank buzz credit card for online shoppers who love to shop anytime, anywhere. Online shopping has become viral for all shopaholics today. Also, there is an option for cash on delivery to pay for their purchases. Most of the customers prefer debit or credit card to make payments. 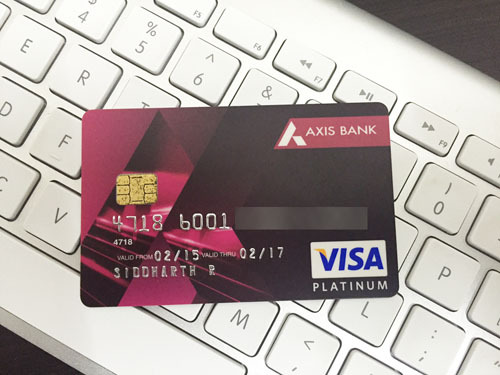 Axis bank has introduced the buzz credit card which is perfect for all online shoppers. Axis buzz credit card is a contactless-enabled card designed to ensure a delightful experience for online shoppers. ● Welcome benefit: Individual will receive a gift voucher from Flipkart that is worth Rs 1000, this one applicable when they make 3 purchases within the first 45 days. ● Discount at Flipkart: Flipkart cardholders can enjoy a discount of 15% when they shop at Flipkart, the maximum benefit of Rs 200 per month. ● Axis eDGE reward points: Customers can enjoy accelerated rewards, wherein they will receive 3*Axis eDGE reward points when they shop online. On every Rs 200 spent cardholders will receive 2* Axis eDGE reward points. Axis bank buzz credit cardholders can avail a minimum discount of 15% at partner restaurants across the country. ● If an individual spends Rs 25,000 annually an buy something from Flipkart, then Flipkart voucher worth Rs 500 can be availed. ● In case Rs 2,00,00 is spent overall per year, then the customer will receive a voucher from Flipkart worth Rs 2000. ● If Rs 50,000 is spent in one year a product from Flipkart then a voucher from Flipkart worth Rs 1,000. ● Price protection cover for an individual will be able to avail a product for the lowest possible price. ● Axis bank buzz credit cardholders have to option to convert any of their transaction, that one worth over Rs 2500 into convenient EMIs. ● The primary cardholders will have to the age of 18 to 70 years. ● Add on cardholder will have to be over 15 years. ● A good credit card history is also required. ● Form 60 or photocopy of PAN card. ● Need Form 16 and latest payslip for income proof. ● For Address proof required a passport, driving license, aadhaar card same as well for Identity proof need Aadhaar card, PAN card, voter ID or license. Axis bank buzz credit card gives you privilege to enjoy the card facility with knowing Fee and charges. ● Joining fee is Rs 750. ● Annual fee - Nil for the first year, Rs 750 from second year onward. A call to the 24*7 customer care toll- free number 1800-419-5959 can let to know your all queries, complaint or any other issues. So what, if you are not clear about your statements, reward points or discounts, the customer care executives always there to hear. Axis Bank buzz credit card is not meant only for your shopping purposes, you can use it also for bill payments: Forget about late fee charges and long queues because you have an Axis bank buzz credit card. To pay bills with a credit card, firstly need to add buzz card to the list of billers. Then, you would need to choose from pay bill option either auto pay. That can be easy and a chance to pay the bill on time automatically deducts the bill amount on a specific date notified to you through an SMS or email.